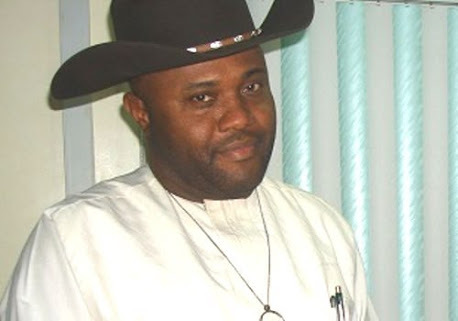 Channels TV's Sunrise Daily show by one Barr Dan Nwanyanwu whose last known activity was selling the Labour Party of Nigeria as its BOT chairman to then ruling PDP in the run-up to the 2015 general elections. original ideals of promoting social democracy to a platform for all manner of characters in exchange for huge financial gains. Or his destructive adventure of dismantling the Advanced Peoples Democratic Alliance (APDA), one of the newly registered political parties where he unfortunately found himself as a BOT member. It is common knowledge that as soon as the INEC stopped issuing grants to political parties in Nigeria, Mr Nwanyanwu had to reinvent himself inorder to continue carrying the portfolio of an activist politician to increase his market value. We are not surprised that after his 2015 misadventure of selling off his party to the PDP and refusing to handover the Certificate of Registration (CoR) of the Labour party, Mr Nwanyanwu's latest shopping centre, the Zenith Labour Party needs to be mortgaged in order to make him relevant in the scheme of things in 2019. Nigerians must know that the only sin committed by the Transportation Minister, Rt Hon Chibuike Amaechi against Mr Dan Nwanyanwu was his refusal as DG Buhari re-election campaign to do 'business' with Mr Nwanyanwu in the later's characteristic manner of selling off his party at every national election. This was part of the reasons why then Presidential candidate of the Zenith Labour party, Dr Olusegun Mimiko, withdrew from the 2019 Presidential race having discovered Mr Nwanyanwu's legendary deceit, prebendalism and treachery. May we also inform Mr Nwanyanwu and his PDP sponsors that no Minister of the Federal Republic can act in the place of the Commander-in-Chief of the Armed Forces as Mr Nwanyanwu wants the public to erroneously believe. Again, let it be on record that the crisis that led to the suspension of the March 9 elections in Rivers state were not and cannot be linked to the Transportation Minister whose only interest is ensuring the people of Rivers state are not denied the opportunity to exercise their fundamental rights to choose their leaders. We challenge Mr Nwanyanwu to mention one incidence that occurred at the Minister's polling unit/ward/LGA on the day of election. The burden of proof rests squarey on Mr Nwanyanwu to tell the world how many persons got killed at the Minister's polling unit/ward/LGA, who killed them, names of deceased and addresses! The shameless lies, outright fabrications and demonic blackmail on national TV by Mr Nwanyanwu against the Transportation Minister cannot sway the very intelligent people of Rivers state who he (Rt Hon Amaechi) served as Governor for 8yrs with outstanding record of capacity and excellence. We are aware that the sponsored interviews on radio and television stations against the Transportation Minister is maliciously targeted at reducing his political capital, and, we do know that these latest attempts just as the ones made in times past, shall come to nought. Finally, we have observed that the latest way to hug national headlines is by disparaging the person and office of the Transportation Minister who has worked so immensely well to reposition our railways and ports which are arteries for the sustenance and growth of our economy. The Niger Delta Democracy Watchdog (NDDW) believe strongly in the famous Mrs Obama quote, "...when they go low, we go high." But, we shall no longer ignore these unprovoked and senseless politically-motivated media attacks.